Nicola has gained over 15 years experience in the field of massage and bodywork both here in the USA and the UK. She is a graduate of the London School of Aromatherapy and received Diplomas in Reflex Touch and Manual Lymphatic Drainage in Professional Practice at Anglia Polytechnic University, UK. Upon relocating to the USA, she received extensive training in the field of Oncology Massage, including scar tissue release for the post mastectomy patient, under the instruction of Gayle MacDonald, MS, LMT and Sandy Canzone, DOM. In 2010, Nicola received her Lymphedema Therapy Certification through Klose Training and Consulting and has completed Breast Cancer Rehabilitation, Head/Neck Lymphedema and refresher MLD classes all with Klose training. 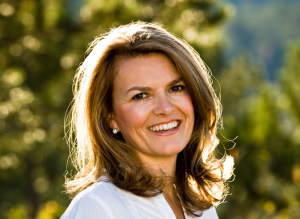 At Avanti Therapy, Nicola utilizes her bodywork skills as an Aromatherapist, Massage Therapist and MLD practitioner to treat a wide range of medical conditions, both chronic and acute, including conditions related to the respiratory, digestive, muscular-skeletal, nervous, and reproductive systems. She also provides individual Aromatherapy consultations for clients requiring customized blends used for skincare and general health promoting practices. Nicola is a team member of the Boulder Cancer Survivorship Program at Avanti, providing lymphedema education and restorative, comfort-oriented bodywork treatments, which include some Eastern bodywork techniques, for individuals undergoing treatments for a cancer diagnosis as well as those who have completed their treatment. Her goals are to support and encourage her patients healing mechanisms so that healing and recovery can take place on an emotional and physical level. Nicola holds classes teaching parents and caregivers infant massage and discusses its importance in encouraging nurturing touch. Nicola is also an Instructor for KLOSE training and Consulting, teaching certification classes in Manual Lymphatic Drainage (MLD), to health professionals throughout the USA.